Javier Palomarez, member of President Trump's diversity council, resigns during a live interview. On Tuesday, Attorney General Jeff Sessions announced at a White House press briefing that he and President Trump believe the Deferred Action for Childhood Arrivals act (DACA) is unconstitutional. When news that DACA would be struck down hit the airwaves, HLN announced the repeal during reporter Carol Costello’s interview with Diversity Councilman Javier Palomarez. 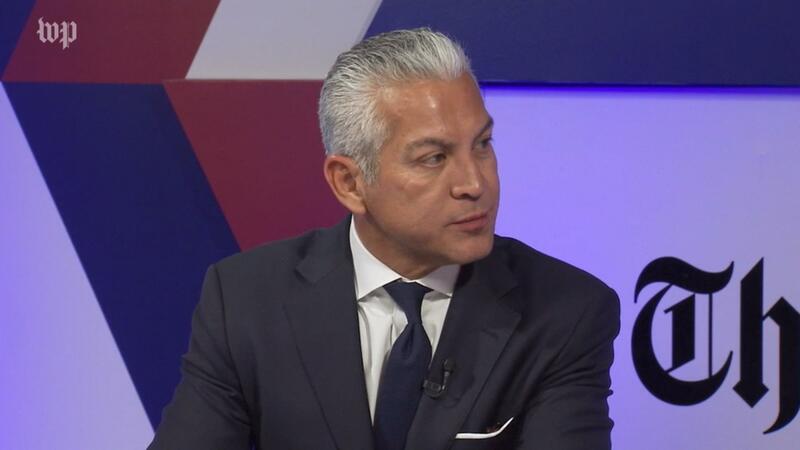 Immediately upon hearing the news, Palomarez resigned from his position while on live television, effective immediately. “There is no letter. This is it, this is the resignation,” Palomarez tells a stunned Costello in the video. “I tried to work as hard as I could with this administration on this issue, and I continue to want to work with them on other issues, like tax reform and healthcare reform […] but I do not see the logic in what’s happening right now. This did not have to happen. […] I don’t see the point in continuing to try to work with people who clearly don’t see this issue the way I do.” Of note: Palomarez told CNN’s Jim Acosta previously that he would resign from Trump’s council if the Trump administration rescinded DACA, and he has now followed through on his promise. Palomarez was the head of the president’s Hispanic Chamber of Commerce, and joins a long list of advisors and councilman who have resigned from their positions this summer, in response to the president’s hesitance to decry white supremacy. That list includes Elon Musk, Robert Iger, Travis Kalanick, and more high-profile executives. DACA currently protects 800,000 minors and recent immigrants living in the United States by giving them a two-year period to find legal work and navigate the legalization process. These children, teenagers and young adults, referred to often as Dreamers, will not be immediately deported, according to the Trump administration, though their permits will begin to expire six months from now. Palomarez was not alone in wanting to protect DACA; Politico reports that Republican Speaker of the House Paul Ryan called President Trump on Friday to advise him not to end the Act entirely. In his speech regarding repealing DACA, Sessions used several phrases popular in white nationalist groups, as Slate’s Mark Joseph Stern points out. First, Sessions said that DACA contributed directly to a “surge of unaccompanied minors on the southern border”, which, according to studies analyzing immigration into the United States from Mexico, is false. His second point was that Dreamers take jobs from legal Americans, which is an argument white supremacists and nationalists have used against immigrant groups since the country was founded. In fact, economic analysts have argued in recent weeks that killing DACA will hurt the American workforce in ways the Trump administration has neglected to recognize. If you’re wondering what your representatives have to say about this change, ProPublica is currently tracking all statements made on the repeal of DACA by Congressman representing the United States. As of this writing, the president has not yet commented on Councilman Palomarez announcing his resignation. Editor’s note: the original version of this story attributed a quote to President Trump which was actually tweeted at him by a Trump supporter. The tweet has been redacted.